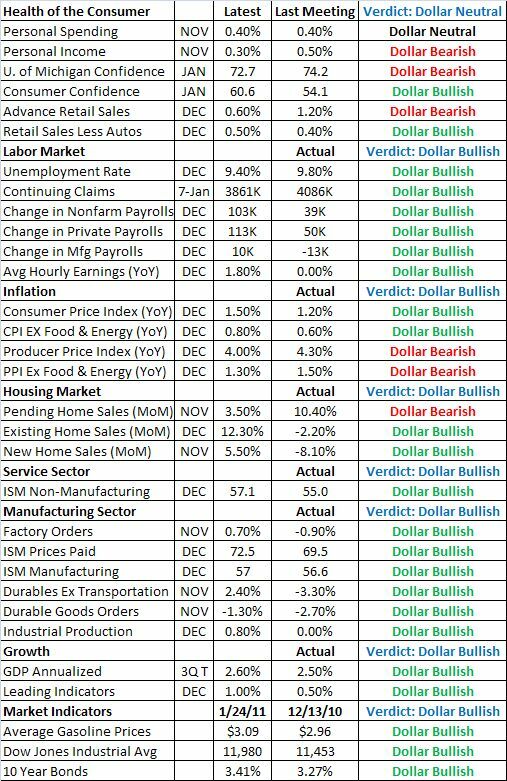 The following table shows how the U.S. economy has changed since the last Federal Reserve monetary policy meeting. As you can see, there have been broad based improvements in economic data which is why I believe that the Fed will sound a bit more optimistic tomorrow. The only area of weakness is in confidence and spending, which is very important but a tinge of optimism is certainly warranted given the improvements elsewhere in the U.S. economy. I always encourage forex traders to put themselves in the shoes of the central banker and this will be what the central bank looks at during their meeting.